Transmission problems can take several forms. Each symptom may have a number of possible causes, some requiring extensive repairs while others need only an adjustment or minor service. A systematic checkup by a professional is the best way to isolate the cause of the operating problems and recommend the most effective solution. Engine Light On – Is your dashboard light prompting you to “Check Engine” or “Service Engine Soon”? 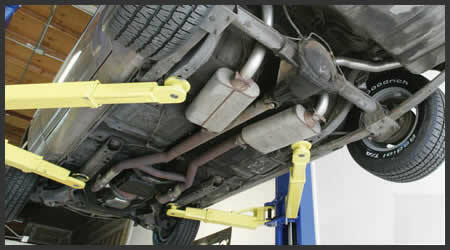 Strange Noises – Your car makes clicking, knocking, screeching, buzzing, whistling, clanking, or grating noises. Unusual sounds can come from hood or rear of car and may include a hum or low whine. “Morning Sickness” – When the vehicle is cold, is your car unable to move or does it shift late during the first few minutes of operation? Slipping - Is your engine racing but your vehicle moves slowly or won’t accelerate as it should? Stalling – Vehicle stalls or is slow to accelerate. Doesn’t Go – Do you place the shift lever in ‘Drive’ and nothing happens? Does even racing the engine not work? No Reverse – Does your vehicle not move when shift lever is placed in Reverse? Leaks – Are their fresh fluid stains under the vehicle? Loss of Power – Passing Will the gear not engage? Is there no surge of power when you press the pedal to the floor? Shift Handle Stuck/Sticks – Shift handle is hard to move into or out of any position. Strange Smell – Burnt or rancid odor is coming from under the hood or underneath vehicle. Shift Indicator Off – The indicator must be slightly off (P) or (N) to start the car. Shift indicator doesn’t point to the proper range. Metal Shavings or Debris – Inspection or transmission service reveals excessive amounts of debris in the transmission pan.